These medium toast French oak infusion spirals will provide a smooth, silky oak profile, and are perfect for wine or beer alike. Give them a try in your next oak-infused batch! Want to add oak character but don't want to resort to buying a barrel that needs maintenance and constant topping off? While there are several alternatives to barrels in the form of oak chips and cubes, the infusion spiral is a fabulous, easy way to get oak character in your handcrafted beer, wine, or other beverages. Infusion spirals are toasted using a convection technology that ensures consistency and uniformity among batches. These oak spirals measure 8 inches long and fit perfectly in standard carboys and fermenters. Full extraction of oak characteristics can be achieved in 6 weeks, but the spirals can be removed or your wine or beer racked from the spirals in less time for a milder oak flavor. Oak can bring out and add to the richly complex flavors of fermented delights such as beer and wine. But adding and managing oak in your fermented products can be tricky. Cubes or chips can spread through your product, making removal difficult. However, with the Stainless Steel Oak Flavoring Tube, adding, removing and managing oak has never been easier! simply add your oak of choice to the tube, lower it into the carboy, and allow the bung or airlock to hold the attached line in place. Simply remove the tube when oak character has reached the desired level. The stainless steel design is durable and inert, allowing you to oak over and over again! American Oak Cubes Heavy Toast, 3 oz. 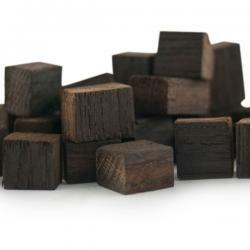 These American oak cubes are heavily toasted oak cubes that are used in making wine or beer. Contact time with the cubes results in the development of a complex flavor profile that includes earthy, creamy textures and hints of vanilla. and caramel. 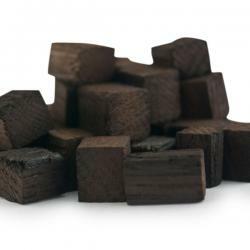 Because of their shape, cubes have a more uneven toast than oak chips, which can lead to more depth of character but can take longer for the flavor profiles to develop. The shape of cubes ensures a slower diffusion of flavor and aromatic compounds. American oak tends to be used in wines and beers with a shorter maturation time than French oak. Try heavy-toasted American oak cubes for bold wines and big, rich beers! Want to add oak character but don't want to resort to buying a barrel that needs maintenance and constant topping off? While there are several alternatives to barrels in the form of oak chips and cubes, the infusion spiral is a fabulous, easy way to get oak character in your handcrafted beer, wine, or other beverages. Infusion spirals are toasted using a convection technology that ensures consistency and uniformity among batches. These heavy toasted American oak infusion spirals will provide a more robust, rich oak profile, and are perfect for big, bold red wines and heavy, rich beers alike. Give them a try in your next oak-infused batch! Oaking wine, beer, and other beverages can bring out a rich complexity that adds to and complements the natural flavors of the product. However, adding oak chips or cubes can be tricky, as oak can spread through the liquid, making removal difficult. Now, with the Polypropylene Oak Flavoring tube, adding and removing oak can be done easily, with no mess! 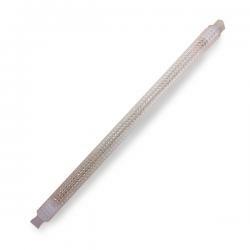 Simply fill the tube up with your choice of oak product, place carefully in the carboy, and allow the bung or airlock to hold the attached line in place. 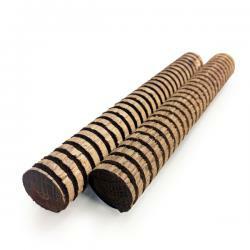 You can then periodically check the oak level in your product, and remove oak when the desired level has been reached. 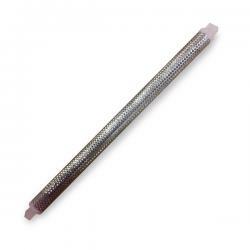 Made of high quality polypropylene, this tube is durable and will last, batch after batch! These heavy toast French oak infusion spirals will provide a smooth oak profile that is more robust than more lightly toasted oak, and are perfect for wine or beer alike. Give them a try in your next oak-infused batch! Oak barrels are great for aging wine and beer, but for the home based brewer and vintner, they are not very feasible. In come oak chips. 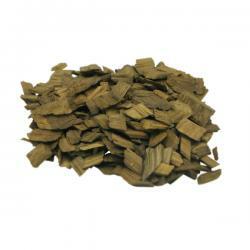 Oak chips help to get those oak-aged characteristics in your homebrew or wine, without the hassle of a barrel. French medium toast chips are a bit more subdued than their American counterparts, but impart a great deal of mouth feel, and have some great spice characteristics like cinnamon and allspice. For the home vintner, chips can be used in your secondary to help give added complexity to your wine. Home brewers can soak these in a favorite spirit such as bourbon, for a couple weeks then add to your secondary when racking. Oak chips are relatively thin and have a high surface area, so their oak characteristics are imparted quicker than their cubed siblings. Regardless of how you plan to use them, make sure first to boil them for at least 10 minutes to sanitize, drain, and then their ready to use. These lightly-toasted French oak infusion spirals will provide a very light, silky oak profile, and are perfect for wine or beer alike. Give them a try in your next oak-infused batch! No need for expensive, bulky barrels to get that perfect oak character! Infusion spirals allow you to infuse oak character, flavor and aroma without having to manage a huge barrel. Medium-toasted American oak infusion spirals are toasted to perfection using state-of-the-art convection technology to deliver a consistent and uniform toast every time. 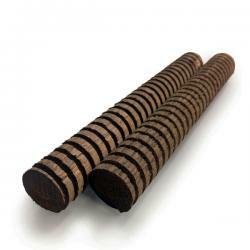 The medium toast imparts a good balance of tannins, flavor and aroma to your wine or beer. 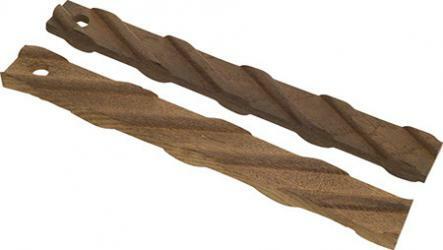 These spirals are cut in order to expose the cross grain of the oak, as opposed to the side grain. Exposure to the cross grain allows the liquid to penetrate the oak at a faster rate than the side grain. Try these in your next batch that calls for oak character...you won't be disappointed! These lightly-toasted American white oak infusion spirals will provide a robust yet light oak character, and are perfect for wine or beer alike. Give them a try in your next oak-infused batch! French Oak Cubes Heavy Toast, 3 oz. French oak has been used for centuries in the legendary wines of France. The oak of France is known to be more subdued than American oak, lending gentler tannins and creating a smooth flavor profile that has spice notes not present in American oak. French oak may be used in wines and beers that take a longer time to mature, as flavors will take longer to manifest and smooth completely. The heavy toast French oak cubes are perfect for delicate wines that have a longer maturation time and when a richer caramel and toast character are desired. Try these in your wine or beer today!